So there we were. The summer lay ahead of us with the promise of lots of visitors, temperatures of up to 38 degrees and the only renovation projects we had were minor ones (finishing the Salon painting mainly). So like Cliff Richard and Una Stubbs we set off on our summer holiday. 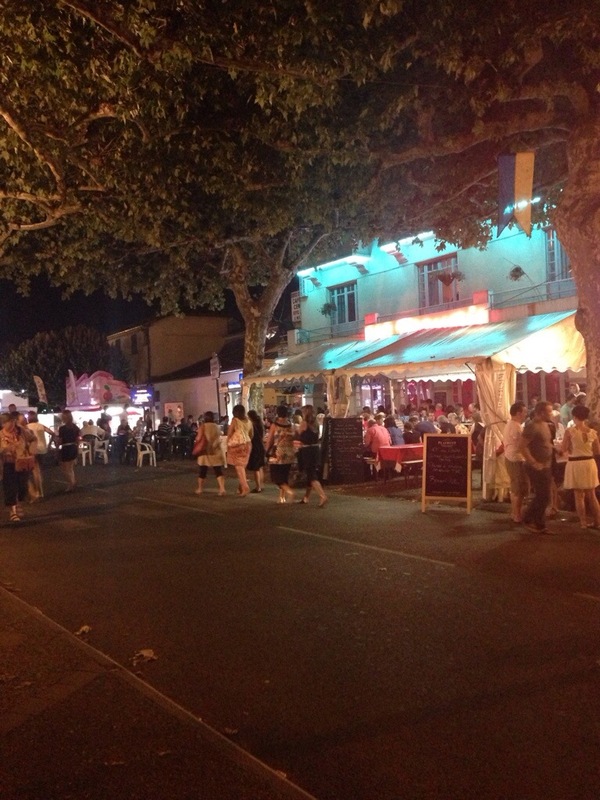 The tiny square in Maubourguet is transformed into a fun fair like Rydell High at the end of Grease. For a small village there are some big rides but the main attractions for my boys are the giant balls you can roll around in on three inches of water and the trampolines with harnesses so you can bounce and spin – referred to by our friends who have some near their holiday home in Cornwall as ‘bouncealines’. There are slot machines, coin slide machines (where Sebastian hit the jackpot and thought he was James Bond when presented with a watch as a prize) and there is food – loads of it. 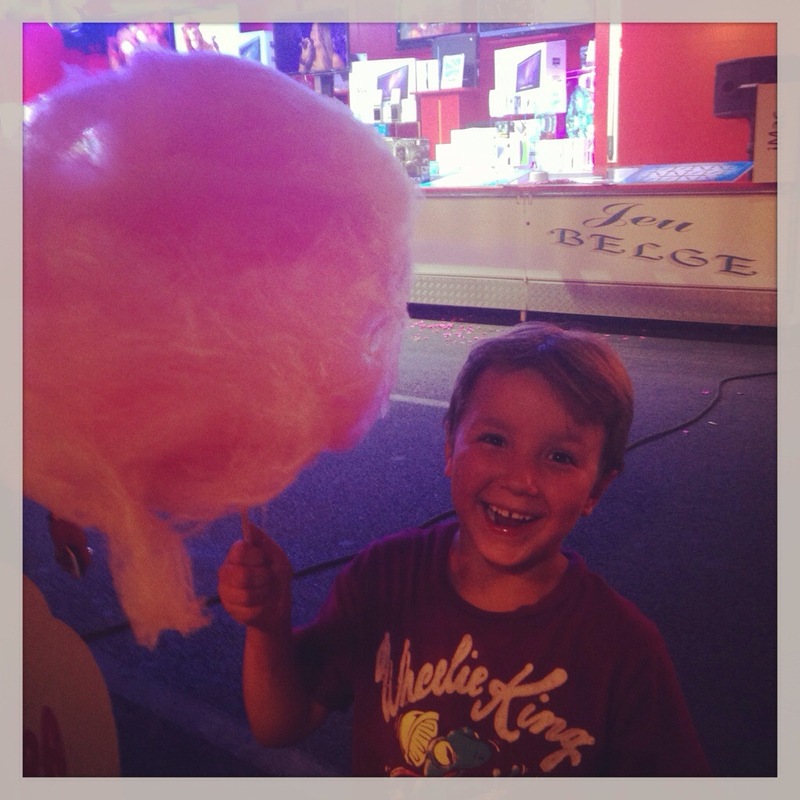 Candy floss as big as your head, crepes, popcorn and ice cream. And local children are allowed to stay up as late as they like and the adults get stuck into the wine. And at some point in the evening, burley men, dressed as women encourage the local children to join them in a giant tug of war competition. And for the first time ever this year, our children elected to join in. 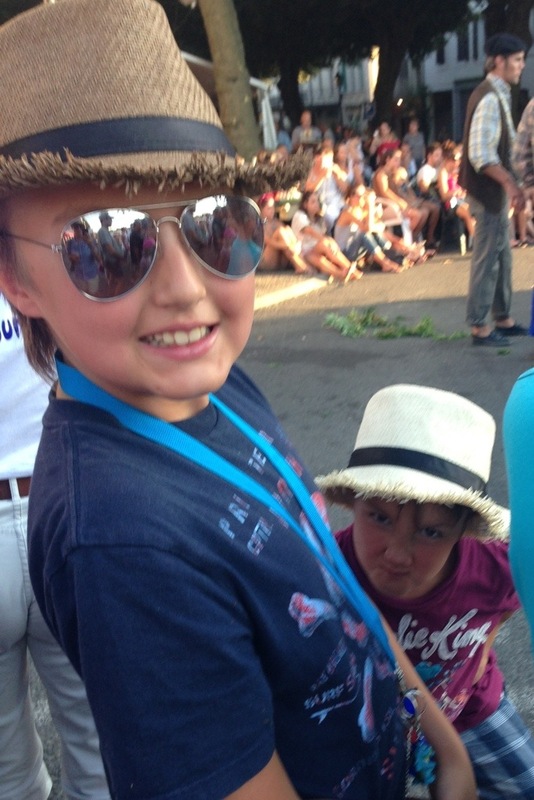 And as we watched them grab the rope on opposing sides with dozens of French children of different ages, laugh, fall over and speak the universal language of silliness, we remembered one of the reasons we took on this crazy project. To try and give two, urban, London, relatively privileged kids, a slice of life that money can’t buy. 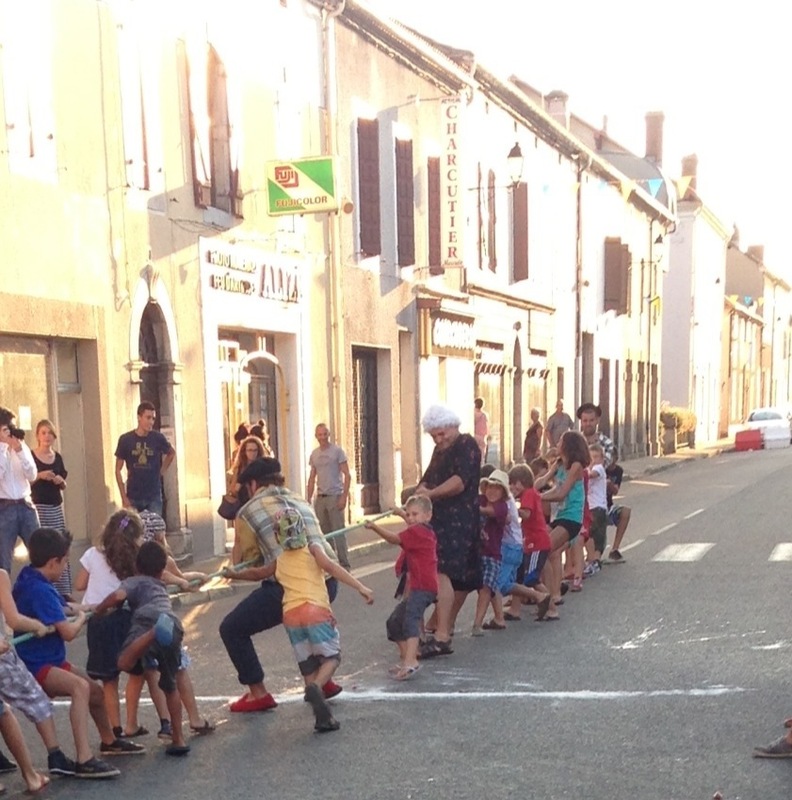 To show them that sometimes pulling a rope with thirty, non English speaking village kids in rural France can be way more fun than an x box. And the sense of achievement when one brother came in on the winning team was Millibandesque for whichever one of them it was. So we went and bought silly hats to celebrate. 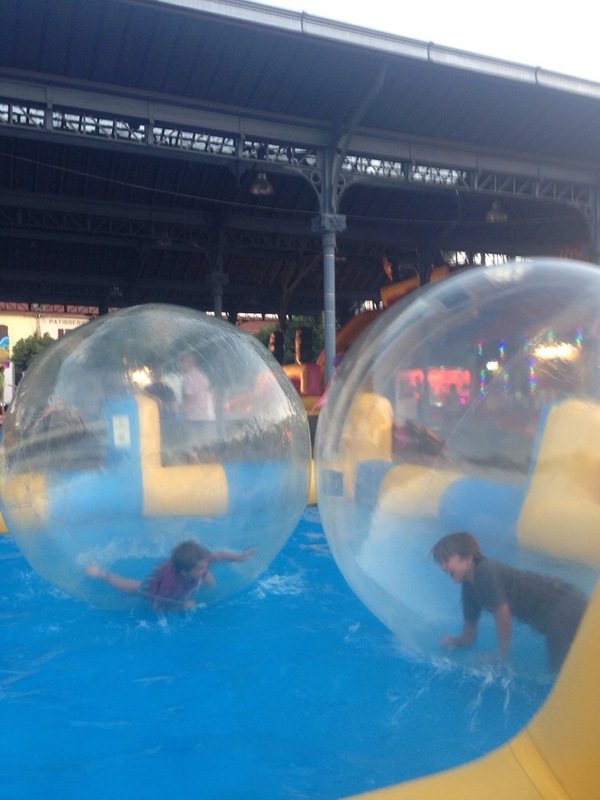 This entry was posted in holidays and tagged fete de maubourguet, French fete, Maubourget by vicawhite. Bookmark the permalink.